UTA Chief Sustainability Officer Meghna Tare with Jennifer Hirsch from the Atlanta Regional Center of Expertise at a meeting in Argentina last fall. Photos courtesy of Meghna Tare. A new regional coalition that aims to unite sustainability advocates of all stripes across North Texas got the UN stamp of approval last week. On Thursday, Meghna Tare, Chief Sustainablity Officer for the University of Texas of Arlington, received word that the application for the North Texas Regional Center of Expertise was approved by United Nations University, the academic and research arm of the United Nations, which oversees the international network of Regional Centers. Tare spearheaded the development of the group with an initial meeting in March last year. Nearly 50 sustainability advocates from across the North Texas region attended, representing local universities, nonprofits, cities and businesses. During the initial brainstorming session, the group picked education, health and sustainable communities as its top three goals, based on the United Nations’ 17 Sustainable Development Goals. Tare then enlisted a consultant and several colleagues to tackle the application, which they completed in two drafts by September. “It has been one long year of hard work,” said Tare. 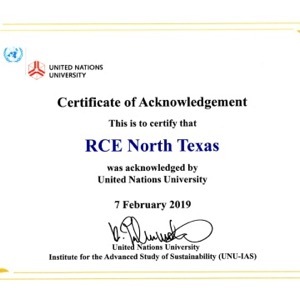 In their letter of acceptance, UNU had only one suggestion - that the North Texas RCE diversify its membership, which it said was heavily represented by higher education institutions. According to Tare, it was always her aim to include every sector - including grassroots groups, nonprofits, local governments, foundations and for-profits in Dallas, Tarrant and Collin counties to work toward sustainability as a whole in DFW. The group will likely meet every quarter. The idea comes from a United Nations University’s Institute for the Advanced Study of Sustainability initiative. In 2003, it launched its Education for Sustainable Development project. The program designs and implements research and development activities through a multi-stakeholder global network of Regional Centers of Expertise that prepare tomorrow’s local leaders with needed tools and information to make smart sustainable future choices. The Regional Centers of Expertise also provide structure for addressing the United Nations’ 17 Sustainable Development Goals, while allowing each regional group to tailor its approach to the Sustainable Development Goals within a region. Meghna Tare, kneeling in front, at the RCE of the America’s meeting in Argentina in October. Tare and her associates have met with representatives from Regional Centers of Expertise in Atlanta and Portland and learned of their success. Practical reasons for this type of coalition in North Texas are to promote collaboration; increase grant funds opportunities; advance sustainability policies; align local initiatives with the 17 Sustainable Development Goals; connect with people with diverse expertise; and engage in communities throughout North Texas. Tare said what sets this coalition apart from other regional groups such as the North Texas Central Council of Governments is that their focus will be more on education rather than public policy. In the coming year, the group is required to create an online public profile and to keep it updated with their goals and progress. Across the world, there are 166 Regional Centers and of that number, seven are in the United States. UTA is hosting a kick-off meeting on March 28, 10 a.m. to 1 p.m., at the E.H. Hereford University Center, 300 W. First St., in Arlington. RSVP to Meghna Tare mtare@uta.edu. 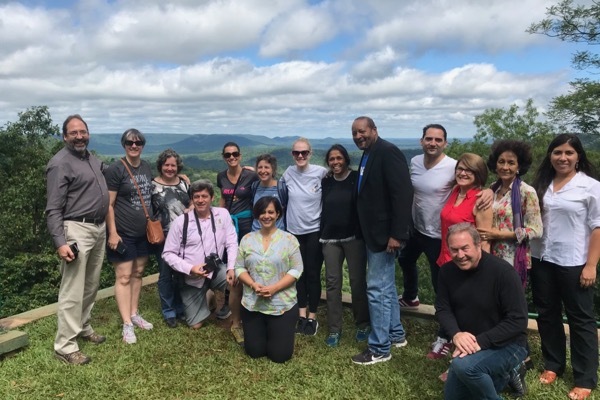 About: A coalition of local nonprofits, municipalities, educational institutions, businesses and other sustainability advocates interested in working together to promote the UN sustainability goals. All interested are welcome. When: March 28, 10 a.m. to 1 p.m.
Where: University of Texas at Arlington, E.H. Hereford University Center, 300 W. First St., the Carlisle Suite, Arlington. Info: Lunch will be provided. Email organizers if you have dietary restrictions. Parking directions will be sent out before the meeting.